Shortly after our little Oliver cat died, my mom suggested planting a baby tree in our backyard as a little memorial to Oliver. Anyone who has seen our backyard knows it’s about as big as a postage stamp, so, while I loved the idea of planting something in Oliver’s memory, I didn’t think a tree was quite right. Upon bringing this up to Alex, he suggested catnip. I thought that was perfect since Oliver acted like such a spazoid all the time, it was as though he was always high on catnip! Thanks for the tag-team effort in coming up with just the perfect thing to honor and remember Oliver with. 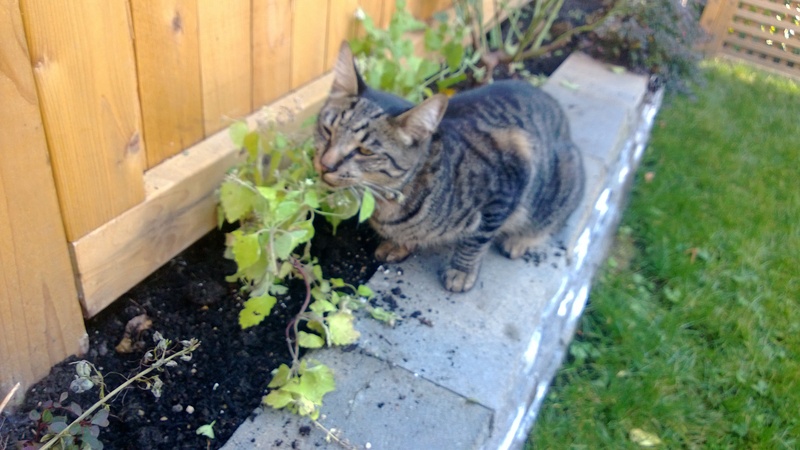 Henry getting his nose all up in the catnip! 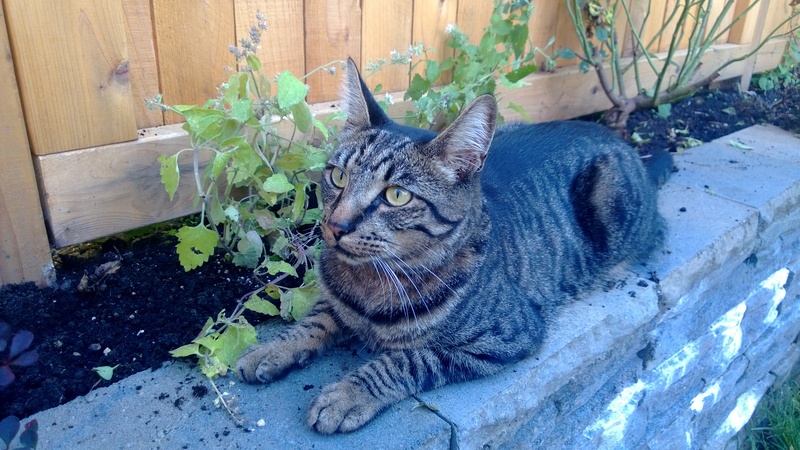 Last week we planted some catnip in our little retaining wall garden as a memorial to Oliver. He spent so much time in our backyard, racing across the fence, hunting birds and bugs, it seemed like the perfect place. It’s safe to say, Henry LOVES the catnip! 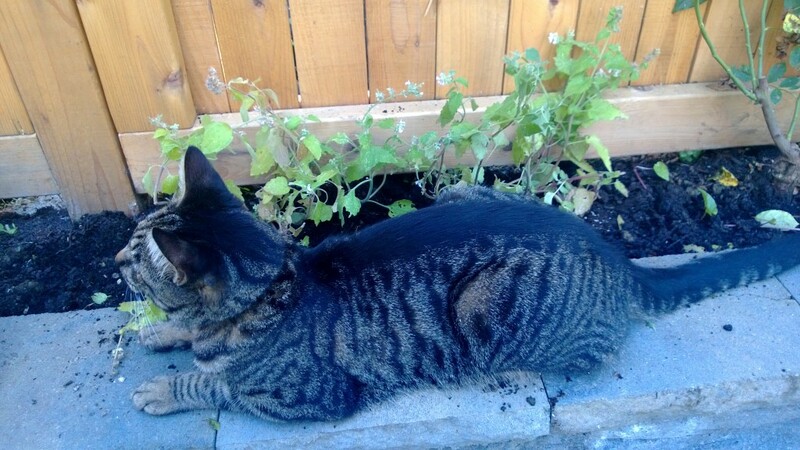 The catnip plants are right outside the window of my office and I frequently see Henry going to get a whiff or roll in the catnip – I’m going to be fighting off the neighbor cats here pretty soon, too. He’s happy with the new plants. This entry was posted in Family, Life, Pets and tagged cats, Henry, Oliver on September 18, 2013 by Alison Allen.